That is the view of Spanish pundit Guillem Balague. The Catalan giants have had a sensational start to the campaign, winning nine of their ten La Liga matches so far this season. Barcelona already hold an eight-point lead over rivals Real Madrid. However, despite their strong start, Ernesto Valverde's men haven't been offering the usual standard of high-quality football for fans at the Camp Nou. And Balague believes this is down to Lionel Messi. "Barcelona have been very impressive defensively. Everybody is working very hard without the ball and they have only shipped three goals so far," he told Sky Sports. "But their football is not spectacular and there's a couple of reasons why. "They are playing without wingers, which tightens everything up in the central areas. With little space to work, their play becomes more industrial and Luis Suarez suffers. "Now that Lionel Messi is working more through the middle, Suarez has to move wider. "That's not his natural habitat." 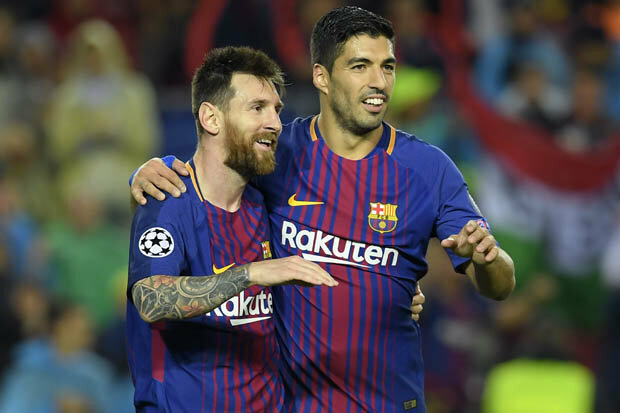 However, as Valverde is preparing to take his table-topping side to former club Olympiakos in the Champions League, Balague admits everyone is happy with his work. "These factors mean Barcelona's football has shifted but everyone is happy with Ernesto Valverde and especially with his results." Barca can all but confirm their place in the next stage of the Champions League with a win this evening (7.45pm kick-off).